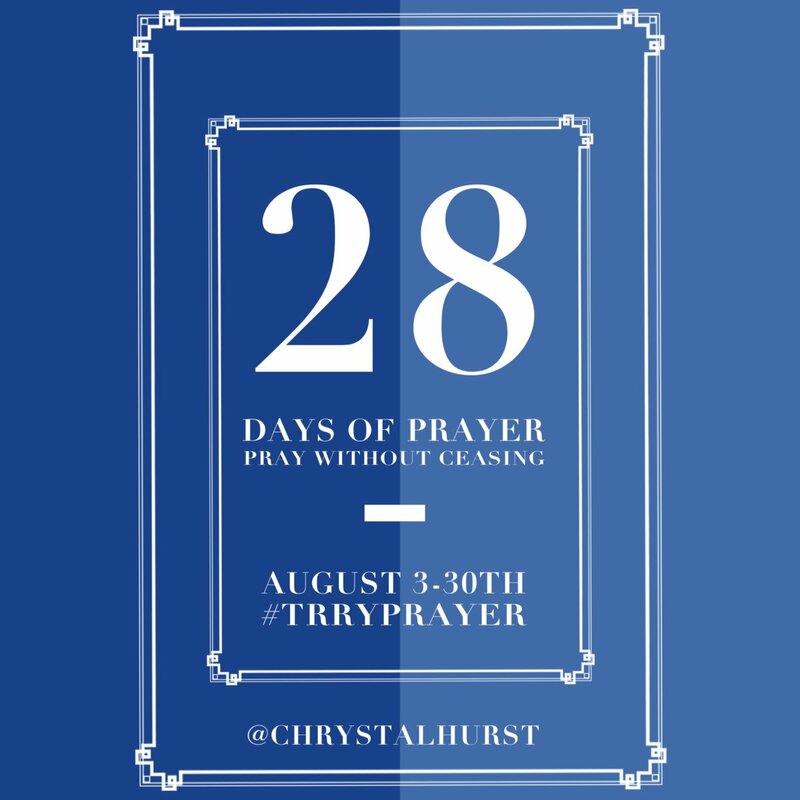 28 Day Instagram #TRRYPrayer Challenge! If you are here to find out more about the challenge – scroll down to keep reading! If you came here looking for your free printable, simply enter your first name and email in the signup form below. You will receive the printable after confirming your email. So what exactly is the 28 Day #TRRYPrayer Challenge? But I struggle to pray consistently. I’ve learned that when we want to improve on an area of our lives, commitment is key but so is community. When you seek to make something a habit, accountability and encouragement can make all of the difference in the world. I’ve been challenged after chatting with my sister Priscilla about her upcoming movie to place a higher priority on my prayer life and focus on consistency for 28 days starting August 3rd. And I don’t just want to do it by myself. Working on an area of my life with others really helps me stay on track. So, I’d love for you to join me! This Instagram Challenge will challenge you every day to focus on at least one component of prayer a day. Repost my image if you like. Share encouraging thoughts, quotes, or pics on your own Instagram feed. My prayer for you and me is that after 28 days we will have formed a new habit, deepened our relationship with the Lord, and even seen Him answer some prayers. What does #TRRYPrayer mean? I’m glad you asked! Each day, from Monday through Thursday, I will provide a “Prayer Prompt” for one of these areas of prayer. On Friday we will pray for each other by way of a “prayer chain”. On weekends we’ll have special challenges for to encourage us to put feet to our faith. Don’t be intimated by 28 days. 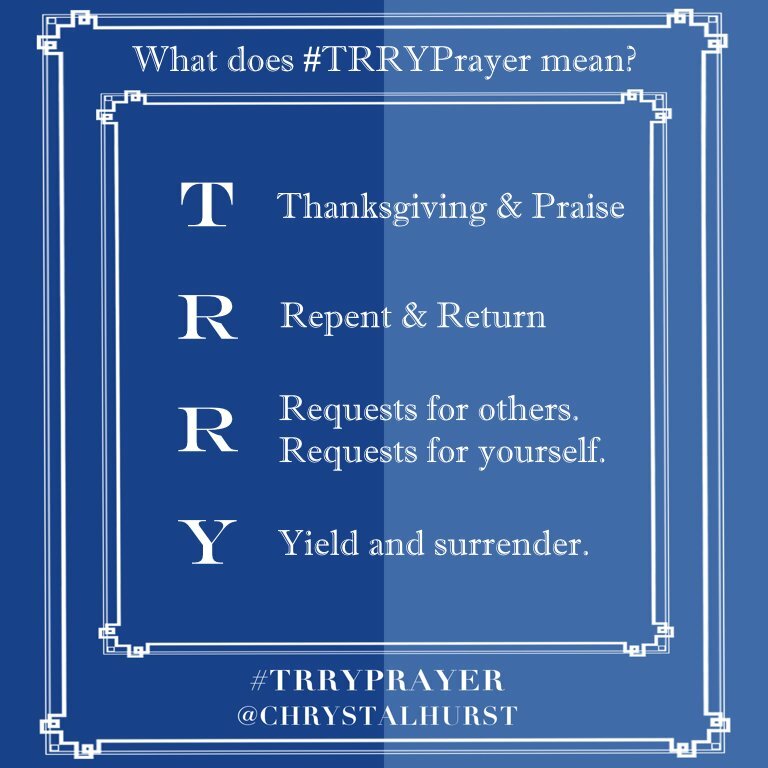 Be sure and enter your name and email address in the signup form at the top of this page so that you can print out #TRRYPrayer reminder and post it where you will see it. This challenge is a chance for us to encourage each other in a way that matters. Remember, we are going to take it one step at a time and one day at at time. The goal is to do a little better than you did before. You are not trying to be better then your friend, your sister, or be just like some super spiritual person on Instagram. You are trying to be better then the person you were yesterday. Small changes made consistently make for big changes over the long haul. If you mess up, miss a day, or just straight up forget, just jump back in the next day! Hope I’ve convinced you to join me on the #TRRYPrayer challenge. Want more posts or podcasts about prayer? Try out the following posts.